France’s “High Environmental Value” Certification : What does it mean and where could it take us ? The French Ministry of Agriculture is trying out a new system of certification for agricultural operations to promote their engagement in environmentally respectful practices. The three-tiered system, originally introduced in 2011, encourages farms and vineyards to focus on increasing biodiversity, decreasing the negative environmental impact of their phytosanitary strategy (read: reducing the use of pesticides and fungicides), managing their fertilizer inputs, and improving water management. Once an operation has attained the third and most stringent level of the certification process, it is deemed worthy of the title “High Environmental Value” (“Haute Valeur Environnementale” or HVE). The authorities are in the process of establishing an official label that producers with this status could display on their products and marketing materials, an advancement that the trade organization Vignerons Indépendants de France has been fighting for since 2013. They have begun to diffuse an unofficial label among their members crowned with HVE status, and have received much positive feedback about the system from members. But what is the relationship between the Haute Valeur Environnementale certification and being organic (in French, “Biologique” or “bio” for short)? Is it as rigorous? How much confidence can the consumer have in products made within one system or the other? Does the presence of this alternative pathway discourage producers from converting to organic? 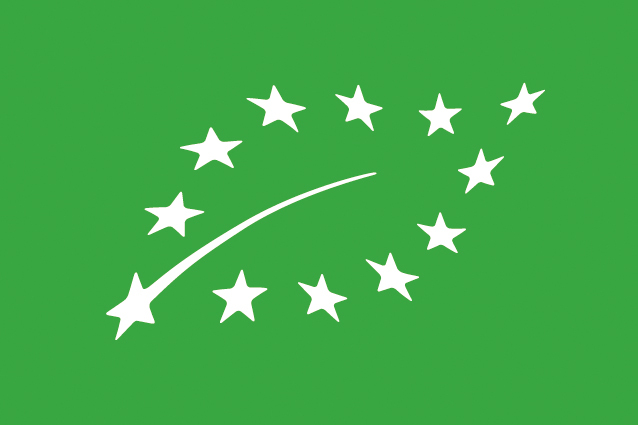 The official European Organic logo, on organic wine (since 2012) and wine produced from certified organic grapes (before 2012). These are complicated questions, but a recent conversation with a representative from Vignerons Indépendants shed some light on the situation. It is important to note that the group Vignerons Indépendants is comprised of about 25% organic producers, and the popular image of wineries that are part of this organization is one of a relatively eco-conscious, small-scale producer. But in recent years, they have noticed a slowing in the organic-conversion trend, to the point that the numbers have stagnated. Producers are not backing out of organic, but not many are converting any more either. This suggests a saturation of the pool of potentially organic producers, either because those who were interested have already converted, the cost-benefit analysis no longer seems favorable to would-be converts, or a decrease in the perceived demand for organic products. All of which are important factors to consider in the analysis of HVE versus organic. The two certifications are different, but each has its pros and cons. HVE is less strict in terms of the elimination of chemical inputs in the vineyard, but it emphasizes other points, such as the promotion of biodiversity, which, while it can be an important value for organic producers, is left out of the regulations and thus can easily be glossed over. This biodiversity element is particularly important, as we tend to forget that vineyards are a monoculture as nefarious as the rest, and we have lost much of the savoir faire, commonplace only a few generations ago, about maintaining biodiversity in a way that benefits all of the crops and animals, as well as the surrounding environment. Organic certification is clearly not a panacea, as its requirements to not suit every producer, nor every consumer. Haute Valeur Environnementale provides an alternative pathway, more adaptable, perhaps, than traditional organic certification, which still moves in an environmentally friendly direction and promotes a more environmentally conscious agricultural approach. Though it is hard to believe for those of us living in a world where Whole Foods has popularized what was once shunned as a crunchy granola lifestyle, there still exists a fair amount of hostility towards organic agriculture, and particularly towards organic wine. Many winemakers report that advertising as organic can close more doors than it opens – despite major advances, the organic label has not been able to entirely shed its reputation of faulty, unclean wines that are garishly overpriced. Organic wine remains a niche market, with certain customers who seek it out specifically, but also with others who’s primary requirement is that their wine be “ABO” (anything but organic). HVE thus opens an alternative route for winemakers to put their environmental concerns into action and be recognized for it (as opposed to converting to organic and not advertising it, which many do, but seems like a sort of defeat if some producers still feel the need to hide such an accomplishment and major investment), without attaching themselves to the still partially stigmatized organic label. There are several drawbacks to the HVE system that, paradoxically, work in its favor in an important way. It is new and relatively unknown – it is gaining a reputation among producers, but because no label exists, the consumer is left out of the loop about this relatively complicated-seeming certification. BUT, the fact that this certification is essentially unknown forces producers to redirect their discourse. Instead of talking up their list of environmental labels that they can stick onto their labels, they are naturally driven to orient their rhetoric towards their actual practices and philosophy, a more human and authentic approach that tends to be highly effective in selling wine to buyers with an interest in environmental values. That said, will the imminent creation of an official label diminish this effect? Perhaps a little bit, but the process will be a long one, and in the meantime producers will have, ideally, honed their practice- and principle-based discourse and built up a customer base that shares their environmentally respectful values. And the positive effects of the label outweigh the negative, as its “recognizability” will ultimately help to legitimize the approach, and if, like the organic label, adds value to the product, this increased value may become another motivation for producers to participate in the certification process. No one is claiming that HVE is a perfect solution (but what is? Organic certainly has its limitations as well), but it is definitely a step in the right direction. It is a worth keeping watch on how the system evolves with the introduction of the official label (though whether there are already so many logos that the consumer is lost and no longer finds meaning in any of the is certainly a subject for debate), and other countries should be closely watching this system as a potential model for environmental certification systems on their own soil, learning from and improving on this French test run as it grows and evolves.